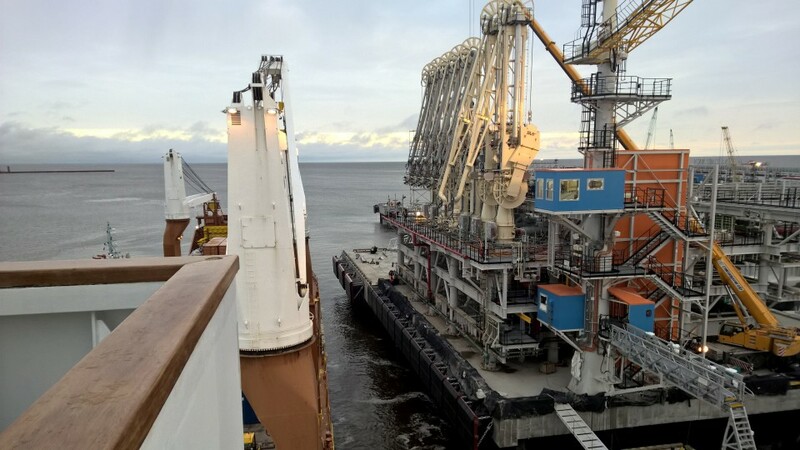 In October 2016, Happy Dragon moved 10 LNG loading arms of 33 mt each and two 44 mt condensate arms from Zeebrugge, Belgium to Sabetta, Russia, where the arms were installed on their final berth. 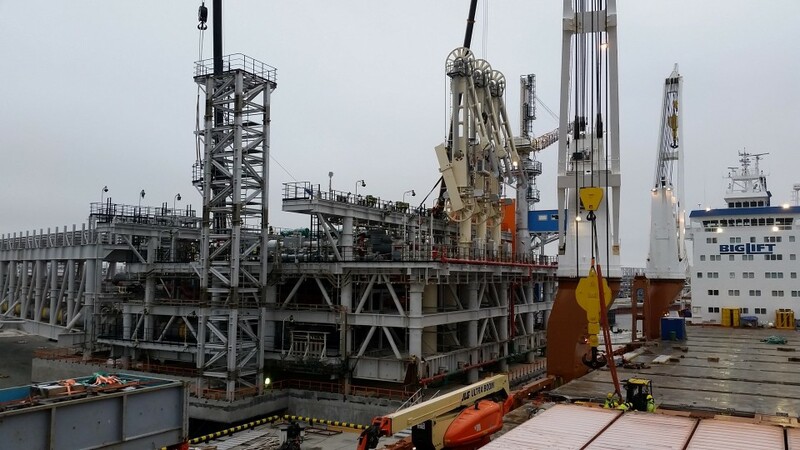 The challenge of this project was not the weight of the cargo, but the size of the pieces and their ultimate location. 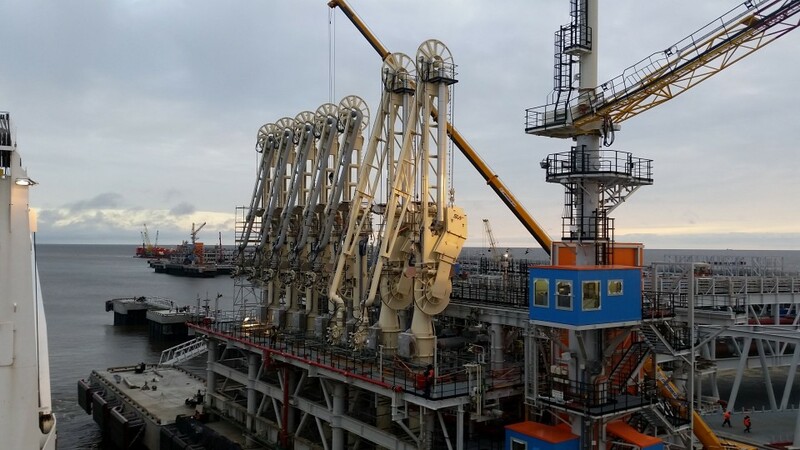 At 25 m long each, the loading arms are the largest of their kind. 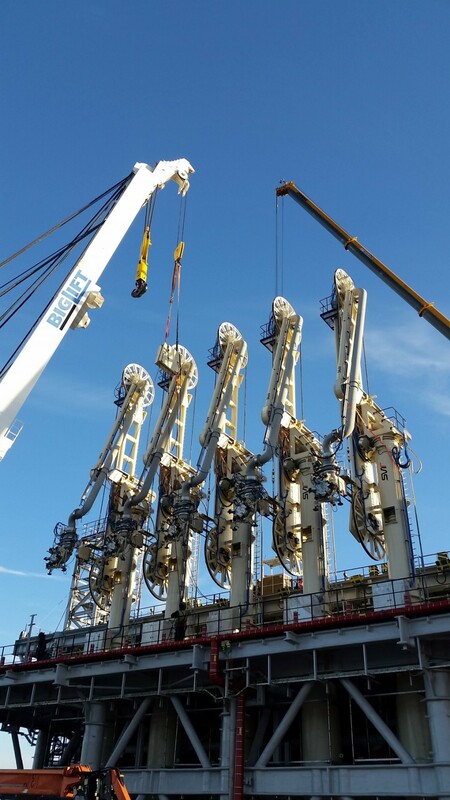 From SVT, the factory in Germany, the loading arms were driven to the port of Zeebrugge by truck. There, Happy Dragon used her own heavy lift cranes to place them on board. The voyage to Sabetta was a smooth one and local conditions turned out to be favourable. The highly experienced crew was undeterred even though this was in fact a journey into the Arctic. 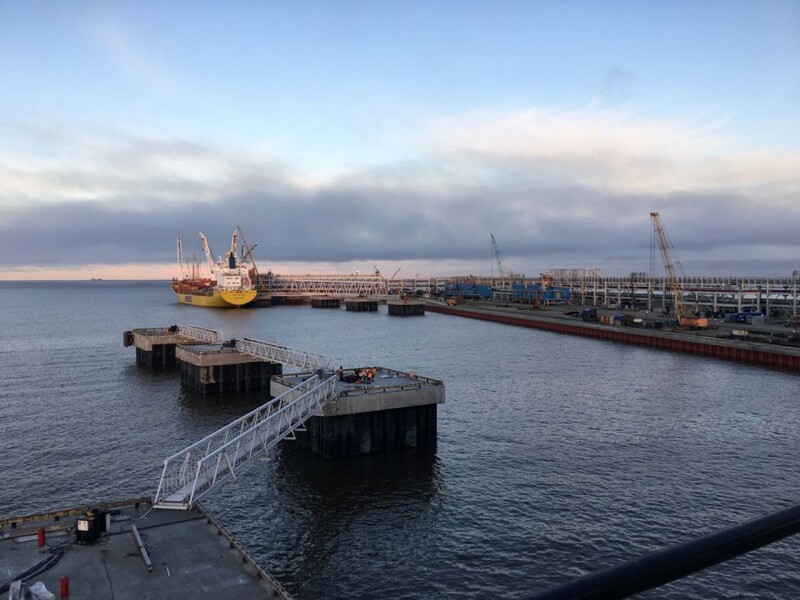 The loading arms had to be installed on two different jetties in the port of Sabetta; five on the one, and five plus the two condensate arms on the other. From here, LNG will be delivered and transhipped in the near future. 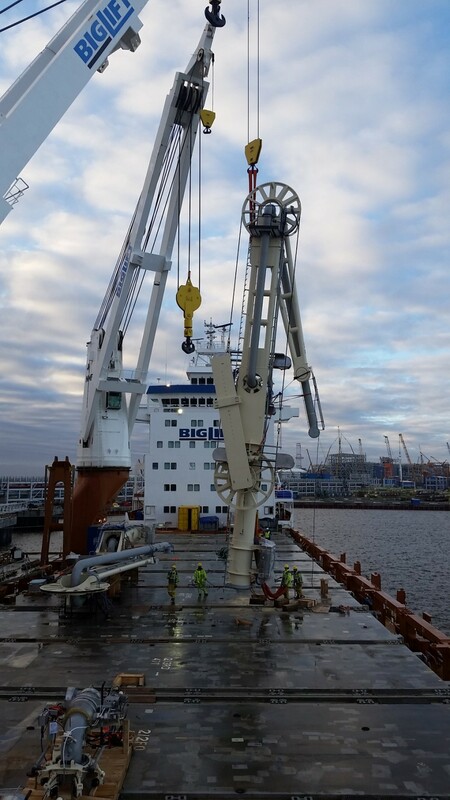 BigLift and SVT were given the task to engineer the complete operation on board. 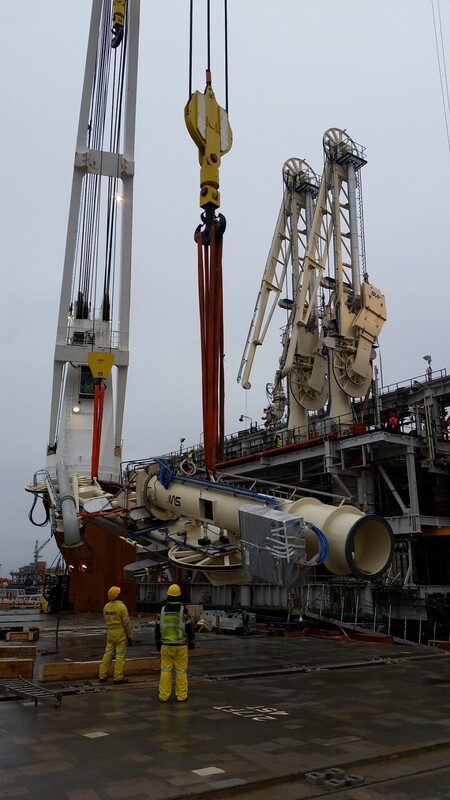 For the installation of the loading arms, they needed to be tilted to an upright position. 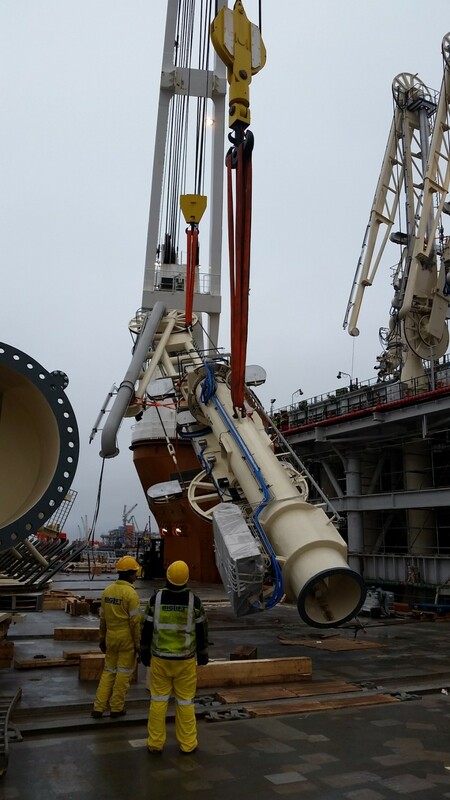 Two of Happy Dragon’s heavy lift cranes carried out this manoeuvre and once in a vertical position, the loading arms could be installed into their slot on the jetty in a single lift operation. Subsequently, they were dressed with counter weights and swivels. 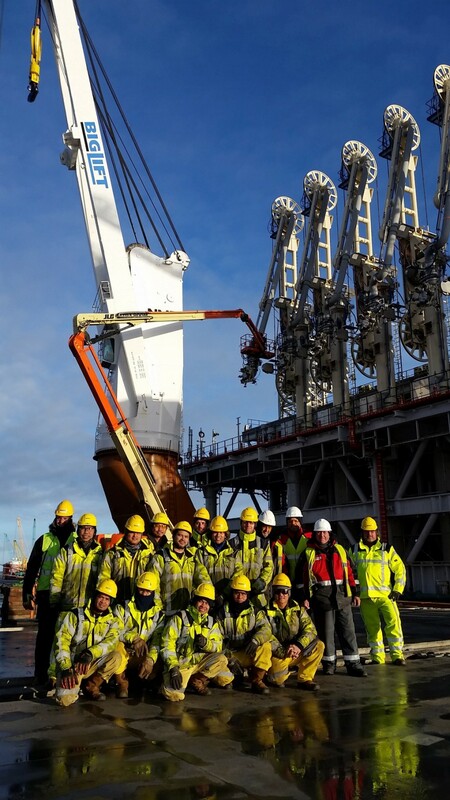 Because of the good cooperation between STL (South Tamby LNG), SVT and BigLift and the favourable weather conditions in the Arctic, the whole job took less than a fortnight, whereas calculations and weather predictions beforehand had expected this to be a maximum of 30 days.